Such a busy weekend! I had a prom shoot yesterday then on Sunday I had a graduation group to shoot. Can't wait to get all of the images edited this week! I'm also hoping to find time to go to IKEA one day this week so I can get the items for my new closet/office space. So much to do! 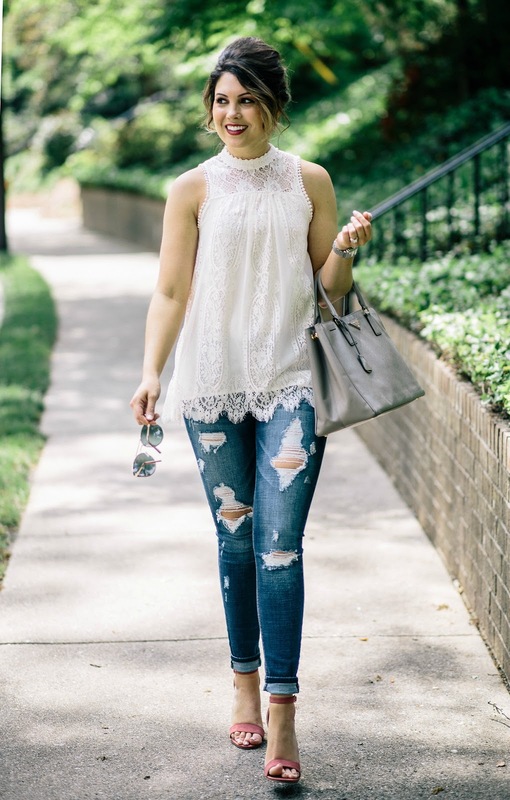 I love the details on this top- the high neck, the lace, the hem, def a new favorite! 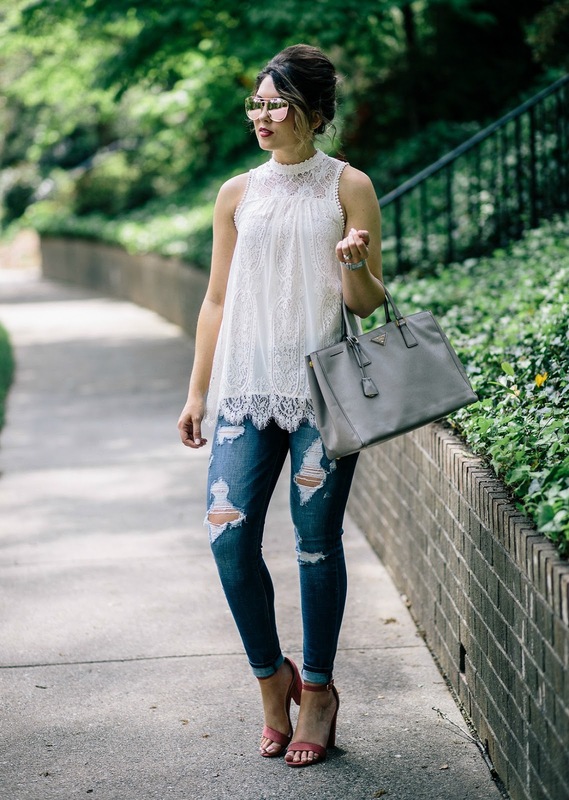 I love feminine tops paired with jeans and simple heels. 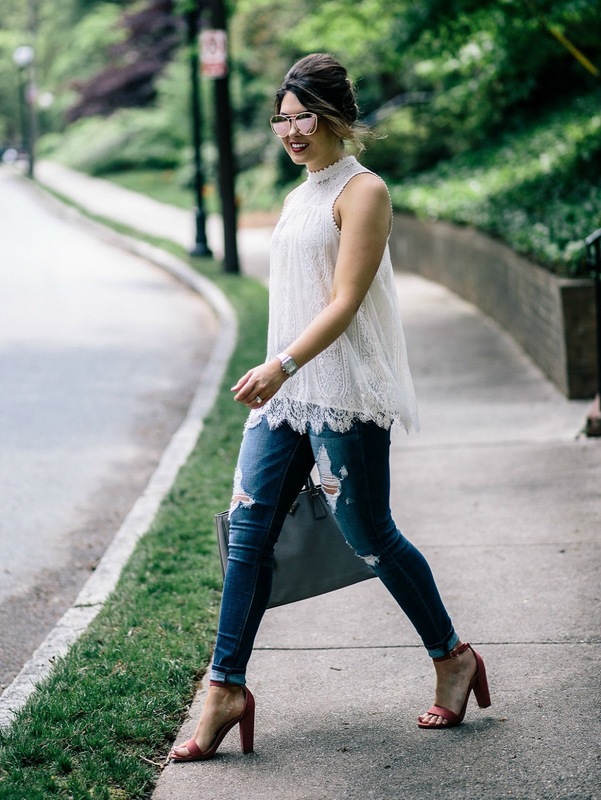 I feel put together with very little effort in my look haha.